The Thermaltake Smart lines of power supplies have been in the market for a few years now. Since its inception, the line expanded and updated with the introduction of the Pro and White lines, all suitable for a wide range of opreations. Capacity of these lines range 500W to 1000W which cover the vast majority of users needs. One item these lines initially did not address were consumers appetite for RGB lightning - even on a power supply. While the Smart Pro line already came out with RGB offerings several months ago (around the perimeter of the cooling fan), the regular Smart line had not. Cue the recent release of the Smart RGB series from Thermaltake. The RGB nomenclature added to the product name quite obviously implies the use of RGB LEDs somewhere on these power supplies. 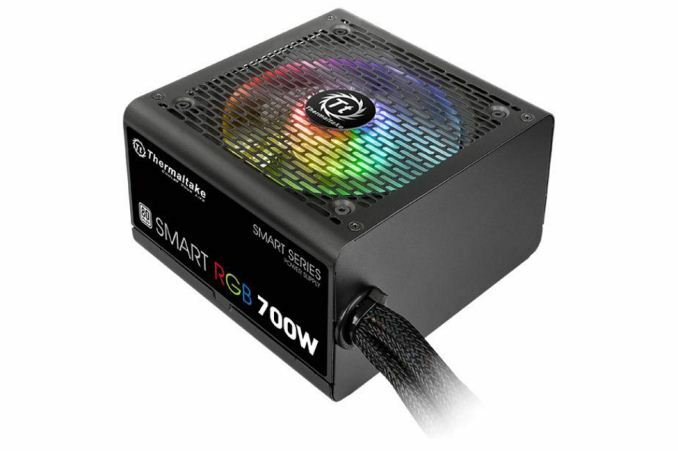 In Smart RGB product stack, Thermaltake moved the RGB LEDs from the outside of the cooling fan to the fan hub illuminating the entire fan in the process. 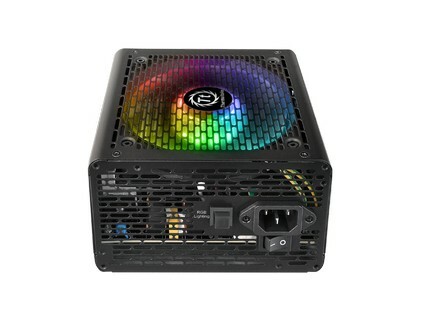 The 10 RGB LEDs come pre-installed on the 120mm fan and support 256 colors with 15 lighting modes ( Pulse Red/ Green/ Blue/ Yellow/ Purple/ Light Blue/ White, 256 color RGB cycle, Solid Red/ Green/ Blue/ Yellow/ Purple/ Light Blue/ White, and a LED Off). Each different mode is selected by pressing the RGB lightning button. These cannot be controlled via software. Outside of the RGB LEDs, Thermaltake Smart PSUs use an “Ultra quiet” 120mm fan with intelligent RPM control. The fan cruve ramps up fairly slowly until you reach around 60% load where it ramps up a bit more aggressively. Thermaltake shows these fans under full load reaching a maximum of 28.6dB (700W model – a bit less for the 500W). As far as efficiency goes, the Smart Line is certified at a basic 80 Plus. All models in the series use a single 12V+ rail eliminating the opportunity for system limitations due to multi-rail power caps. The Smart and Smart RGB lines can also be found in 230V form for those located in Europe and other areas which have higher voltage at the wall. Pricing and availability were not on hand at the time of publication. But we can expect the RGB version to fetch a bit more than the non-RGB versions.